With both the amount of time spent online and the number of connected devices in Italy increasing dramatically year after year, it’s more important than ever for the country to stay web-savvy. But not everyone’s getting it right. For example, research tells us most millennials use the same password for some—or even the majority!—of their accounts online, and a surprising number think the word “password” is safe (YouGov data, Jan 2017). 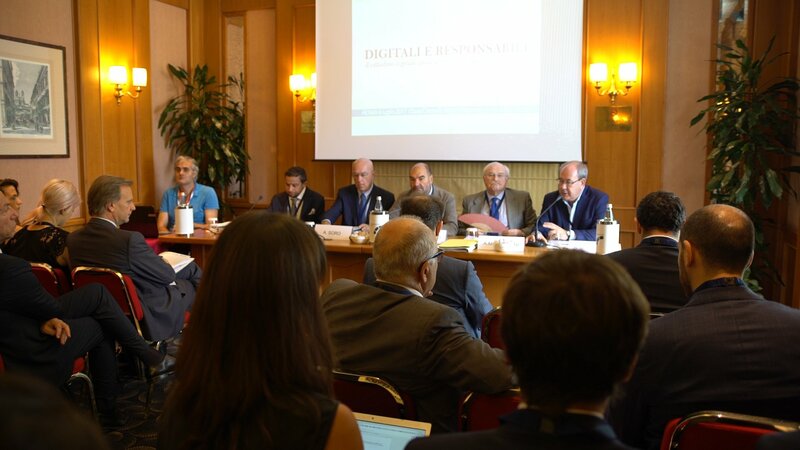 In order to help Italians course-correct, we’ve partnered with the country’s Data Protection Authority and the Communications Regulatory Authority to launch “Digitali e Responsabili” with the support of the Postal Police and the consumer association Altroconsumo. The launch of our new partnership in Rome. Building on successful campaigns we’ve run in Italy over the past year, Digitali e Responsabili aims to promote the importance of civic education in the digital age. Through workshops hosted in five different universities across the country, we’ll help to facilitate an informed debate on the responsible use of the internet. From Google’s perspective, this means making sure Italian web users understand how to use the tools we’ve developed to put them in control, like My Account and Content ID. From Rome to Milan, through Naples, Palermo and Florence, the workshops will cover a range of topics outlining both the opportunities and responsibilities of digital citizens—including concrete tips on safe internet browsing. We’ll share scenarios using digital technology for the promotion and protection of information and with our partners look at issues of creativity and responsible growth of technologies. Partnerships like these are important to us, because we believe that civic education in the digital age, in Italy as well as across Europe, should be a shared responsibility—and priority—across the private and public sectors.